Musically, 1959 is primarily known for “The Day the Music Died”- the February 3rd plane crash which killed Buddy Holly, the Big Bopper & Ritchie Valens, and the end of the first wave of the rock n’ roll revolution. Little Richard temporarily left music for the church and Elvis was now a soldier in the army. The way that the music history books tell the story is that plastic teen idols like Bobby Sherman, Fabian & Frankie Avalon ruled the teen market and collegiate graduated to folk music. Motown, the Phil Spector led girl groups and the Beatles-led British invasion, were still a few years around the corner 1959 may not have been one of music’s great years, it’s often painted as a musical dark age which I think is vastly overstated. 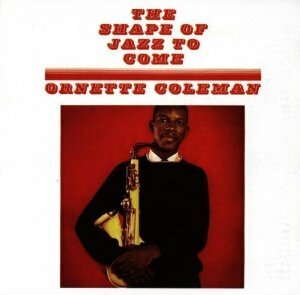 There was plenty of great music to be had and there were significant leaps particularly in soul & jazz. By ’59 America’s economy was booming and Americans, at least white Americans, were living with unprecedented freedom and wealth. The American middle class had disposable income that it had never previously enjoyed. The huge demographics of the baby boomer generation, then entering their pre-teens, along with the disposable income of their parents created a commercial market and a political power that no other group of teenagers previously had. This helped to lead to the racial and societal upheavals of the 1960’s. During prosperous ’59 the change had yet to take place and many of the pop hits of the day mirrored the conservatism of the time (see the fresh faced, sexually “safe” teen idols mentioned above). But there is always a counter culture running parallel to the mainstream and in 1959 nothing exemplified the counter culture more than jazz. 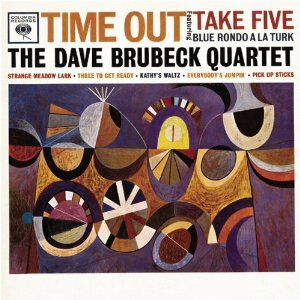 ’59 was an absolutely pivotal year in jazz in which the dominant sound in the music was moving away from Bebop and toward modal forms of jazz where various soloists were given room and freedom to explore. 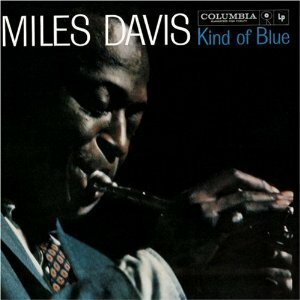 The four huge jazz albums of ’59 were “Ah Um” by Charles Mingus, “Time Out” by Dave Brubeck, “The Shape Of Jazz to Come” by Ornette Coleman, which helped spark the free jazz movement, and especially “Kind Of Blue” by Miles Davis, which is the most renowned jazz album of all time. 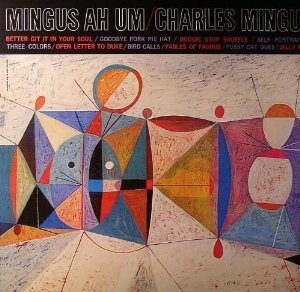 “Kind Of Blue” and “Time Out” remain two of the best selling jazz albums ever as well and “Ah Um” is likely Mingus’s most well known. There was much to talk about in vocal jazz as well. Ella Fitzgerald was in the middle of releasing her great songbook series. ’59 would see the issue of her monstrous George & Ira Gershwin set. Frank Sinatra continued his fantastic mid-late 50’s run with excellent tracks like “Come Dance With Me” and “Saturday Night Is The Loneliest Night Of The Week”. Nina Simone, still at the early stages of her career, released the excellent “Nina Simone At Town Hall”, which contains the standard “Black Is The Color Of My True Love’s Hair”. Cool jazz artists like Mose Allison & Lambert, Hendricks & Ross released key albums containing signature cuts like “Eyesight To the Blind” and “Twisted”. Half crooner/half rock n’ roller Bobby Darin had huge hits in both genres with the standard “Mack the Knife” and the nearly as mighty “Dream Lover”. Though white pop & rock n’ roll did seem to get more boring and staid in the late 50’s/very early 60’s, soul music didn’t seem to miss a beat. All of soul music’s originators dropped at least one classic song in 1959- Sam Cooke, Bobby “Blue” Bland, Jackie Wilson, James Brown and especially Ray Charles who released the great “Genius of Ray Charles” album along with one of his signature tracks “What’d I Say”. Plenty of lesser known soul n’ B artists dropped a classic single or two like Phil Phillips with “Sea Of Love”, Frankie Ford with “Sea Of Love”, Wilbert Harrison with “Kansas City” and Lloyd Price with “Personality” and “I’m Gonna Get Married”. The Doo-Wop movement was still in full swing as well with several groups like the Drifters, the Coasters, the Platters, Dion & the Belmonts & the Clovers becoming absolute stars. Rock N’ Soul standard like “There Goes My Baby” (Drifters), “That Is Rock N’ Roll”, “Poison Ivy” & Charlie Brown”(The Coasters), A Teenager In Love” (Dion) along with classics by slightly lesser known groups like “Since I Don’t Have You” (The Skyliners), the original version of “Shout” (The Isley Brothers) and my pick for the greatest vocal Doo-Wop song of all time “I Only Have Eyes For You” (The Flamingos) all came out in 1959. A few more blues-based soul artists dropped great records in ’59 as well including the aforementioned Bobby Bland, along with Jimmy Reed, the lesser known but massively influential Little Willie John, Marv Johnson & Professor Longhair. Even though the monumental Buddy Holly had passed earlier in the year a handful of great singles were released posthumously in ’59 like “It Doesn’t Matter Anymore”, “Peggy Sue Got Married”, “Raining In My Heart” and “Crying, Waiting & Hoping”, each one brilliant and more sophisticated than his earlier singles. It’s a wonder how far Holly could have gone musically had he lived. He died at the tragic age of 23. Though Little Richard abandoned rock n’ roll temporarily for the ministry he did release his one last great single of the 50’s “Kansas City/Hey Hey Hey”. Though Elvis was busy serving in the army he did manage the #1 single “Big Hunk O Love”. Though not on the level of Elvis’s run of classic singles between ’56 and ’58, it’s still a pretty great song. Though he was super clean cut and marketed as a teen idol, heartthrob Ricky Nelson of the “Ozzie & Harriet Show” released a string of great singles as well. “It’s Late” was his best cut of ’59. 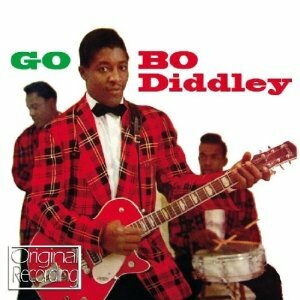 The great Bo Diddley released his “Go Bo Diddley!” album in ’59, which includes great tracks like “Dearest Darling”, “Crackin’ Up” and his biggest hit “Say Man”. Though Diddley was never a monster on the charts, his style was mimicked a countless amount of time and he is considered today to be one of the true giants of rock n’ roll’s first wave. Two of rock n’ roll’s original biggest hitmakers went right on chugging during ’59. Chuck Berry delivered a slew of hits included “Back In the U.S.A.”, Memphis, Tennessee”, “Almost Grown” & “Little Queenie”. New Orleans own Fats Domino had huge hits with “I’m Ready”, “I Want To Walk You Home” & “Be My Guest”. 1. Chuck Berry- Back In the U.S.A.